As soon as I became pregnant with Alice I knew one of the classes that I would start with her, was swimming classes. My mum doesn’t like water and can’t swim, but she was determined that both my brother and I would be able to swim. She took us swimming, even though she hated it. We had swimming lessons and she sat on the side and watched us. And every holiday we had, she always made sure it had a swimming pool. I used to love the water as a child, I was always the last one out of the pool on holiday. Either my dad would stay in and play with me or my mum would read her book on the side and I would play happily on my own. I was definitely a water baby! I started classes with Alice when she was fourteen weeks old and we went every week in term time until she was two years old. Then when I had a Holly we had a short break from classes and Andy used to take her swimming at the weekends. I was starting to dread the classes and spoke to Andy about it. 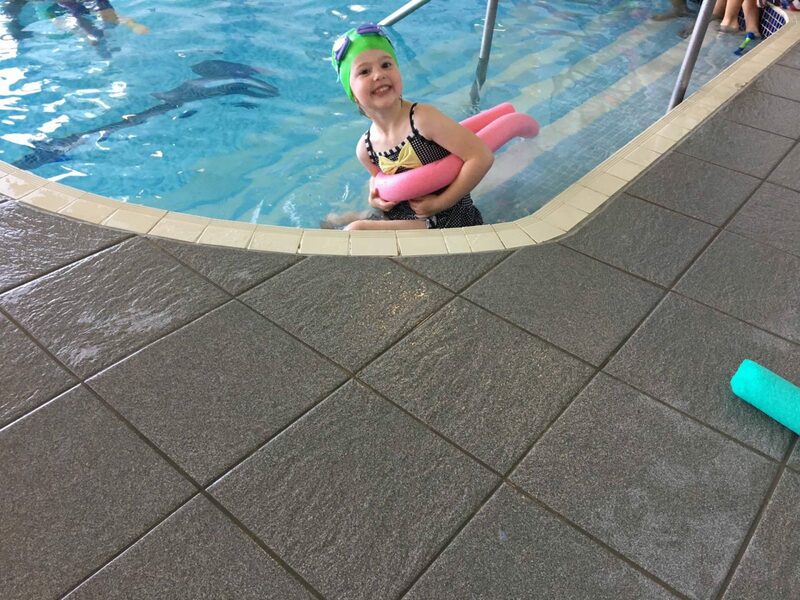 We are both really keen for our girls to be able to swim, it is a life saving skill and we decided to see if we could move both their lessons to the weekend. This would mean that Andy could help out. Thankfully on a Saturday their lessons were back to back and they had space for them both. Yes, this would mean I was in the water for an hour, but I only had to do it once a week. It became our normal Saturday routine and it was the perfect solution. Yesterday Alice had her first lesson on her own. There were two teachers in the pool and four children, including Alice. She was really excited about starting swimming again and to be going in on her own. These lessons were at a different place to where we had been going since she was fourteen weeks old, but that didn’t phase her. All she kept saying was ‘you are not going to get wet mummy, I will be the wettest girl in the world’. Leading up to her new lessons starting I won’t lie part of me was relieved that I no longer had to get in the pool every week. After doing it for nearly four years and for part of that twice a week, I was a bit over it. But, watching Alice walking into the building today with her bag on her back and me not wearing my swimsuit under my clothes (to save time) I was a bit sad. 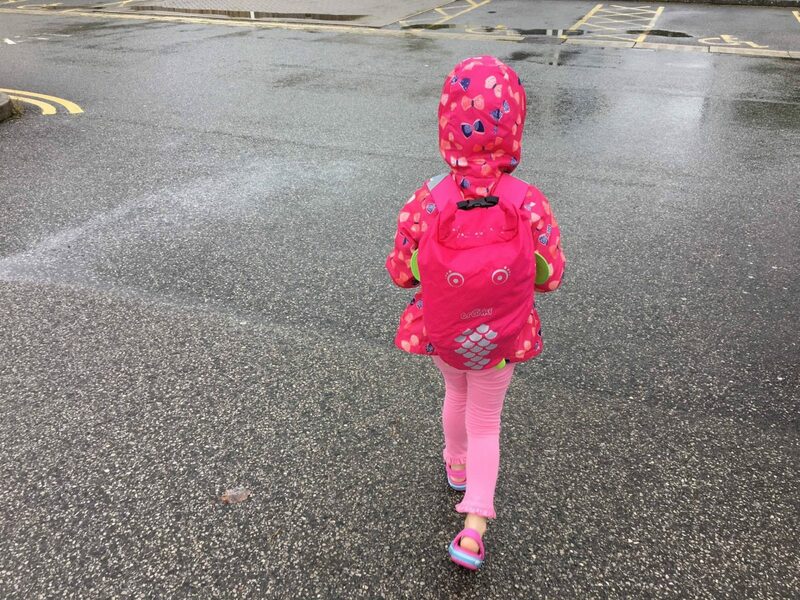 It was another sign that my little girl is growing up and taking another step towards independence. I don’t think it helped that she had her first day at school on Friday and its all happening at once. She got ready all on her own, walked confidently to the side of the pool and got in with the teacher. I couldn’t have been more proud of her. She was literally grinning from cheek to cheek and kept checking I was watching when it was turn. That’s cool that she loved it. I found going in on his own was the making of N, no more excuse of clinging to me. Having 2 teachers and only 4 kids is great. We have 1 teacher – sometimes she goes in the pool – and a maximum of 8 kids. Although I’m optimistic that there maybe be around 5 this term because they did have spaces. 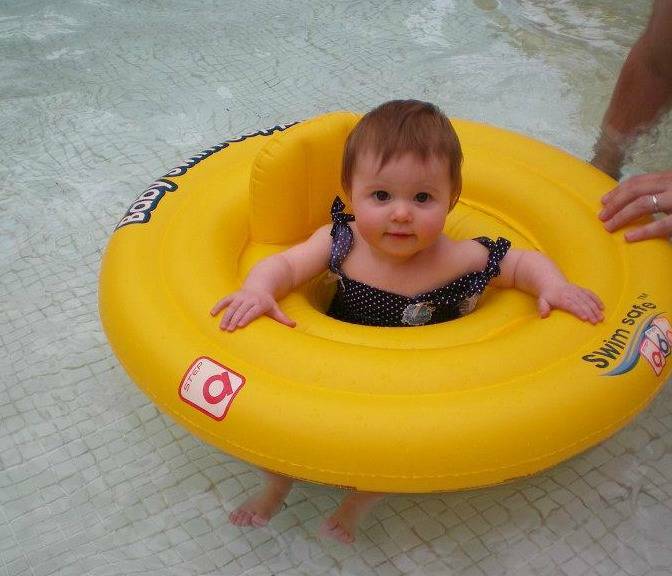 Bless her being so small in her little swimming ring thing… how time flies huh? Isn’t it just lovely when they start swimming lessons? Libby started as soon as she turned 4 as well and she just loves it, she learns so much more with someone else teaching her than she does with me trying to teach her, she just listens better!